Cal Fire stepped up its lifesaving readiness this month, with a massive effort to deploy 186 new AEDs throughout California. 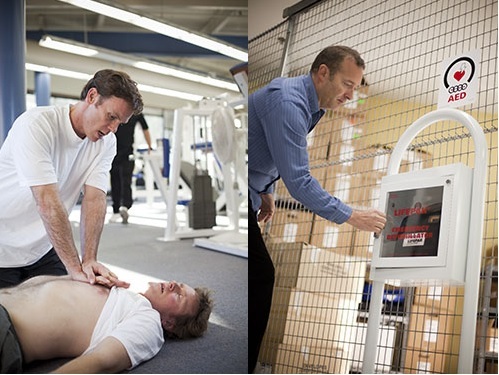 Automated External Defibrillators are a vital link in the lifesaving chain of survival – picking up the gap between pre-hospital CPR and the more advanced medical care given to victims of sudden cardiac arrest once they reach the hospital. This week the California Department of Forestry and Fire Protection took delivery of 93 Defibtech AEDs and placed an order for an additional 93 through an acquisition arrangement with the AED grant program. These AEDs will be deployed to Cal Fire's 39 Conservation Camps statewide that house nearly 4,300 inmates and wards. These camps are operated in conjunction with the California Department of Corrections and Rehabilitation (CDCR). Through these cooperative efforts Cal Fire is authorized to operate 196 fire crews year-round. These crews are available to respond to all types of emergencies including wildfires, floods, search and rescue, and earthquakes. When not responding to emergencies, the crews are busy with conservation and community service work projects for state, federal, and local government agencies. Fire crews perform several million hours of emergency response each year, and more on work projects. With this new lifesaving equipment, the dedicated, well-trained, emergency response forces can better respond successfully to heart attacks, drownings, and the many other types of emergencies they serve on a daily basis. The AED grant program is a corporate sponsored buy-down grant initiative which has placed many thousands of AEDs throughout the US over the past 15 years. Working through corporate sponsorship the AED Grant project helps individuals, social and faith-based groups, as well as public and private entities obtain these Critical Lifesaving Devices at or below what an AED Distributor would pay for them, thereby empowering America toward the goal of deploying AED wherever tragedy may strike. "We could, and have in a few cases, provide 100% free AEDs," explains Amanda Jenkins of the AED Grant program, "but as a zero-profit initiative, making these lifesaving units available at or below normal Distributor cost we are able to able to help launch thousands upon thousands of these simple lifesavers to qualifying individuals, groups, and businesses – rather than just a select few." Sponsored by AED manufacturers including Defibtech, as well as safety companies such as American CPR Training™ and First-Aid-Product.com, the program is now in its 15th year with ever-greater deployments, such as this Cal Fire project, and recent large initiatives with AAA, in addition to several Public Utilities and Indian Reservations – plus thousands of smaller businesses, churches, schools, and individuals. The National AED Grant program is a corporate buy-down grant program funded by generous donations, corporate backing, and AED manufacturer sponsors. The program has changed many time since its inception from a single manufacturer program to the current program backed by AED & CPR training organizations and the AED Manufacturers themselves. For almost a quarter century, First-Aid-Product.com has been saving lives and saving money with Wholesale Direct to the Public™ First Aid, CPR, Survival and Safety products online. As the Master Distributor for 100's of top first aid brands, and manufacturer of their own product line, First-Aid-Product.com stocks over 300,000 products and enables businesses to exceed their compliance requirements below budget and with same day shipping of the highest quality safety supplies in the industry. American CPR Training™ was founded in 1993 to provide live, onsite CPR & First Aid Training at ½ the Time, ½ the Price, and TWICE the Fun!™ - Decades later, American CPR™ has thousands of Instructor nationwide – and spanning the globe, making lifesaving training fun and affordable for businesses that require safety training and any group interested in learning how to save lives. 1 out of every 2,000 Americans has now learned how to make their workplace or community safer through American CPR™ bystander rescue skills. 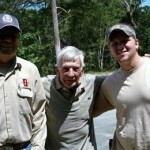 This entry was posted in Health News and tagged aed, AED Training, AED awareness, aed use, CPR. AED, aed grant, cal fire, California Department of Forestry and Fire Protection, calfire on September 14, 2017 by American CPR Training Team. 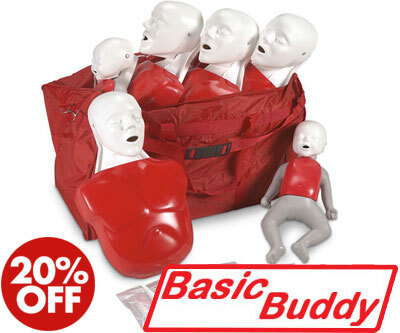 Believe it or not, our best CPR Manikin deal ever is back… it has been years, but in recognition of CPR & AED Awareness Week, we’re offering 20% off CPR Prompt®, Basic Buddy™, and Prestan® Products… even the awesome Prestan bilingual AED Trainer and the new Prestan Ultralite® Manikins! While we at American CPR Training™ have always promoted CPR & AED Awareness month, you’ll want to hurry to take advantage of these National CPR & AED Awareness Week Deals now. Enter code "CPRSaves" in your shopping cart (not at checkout) for this EXTRA 20% OFF while stock is available. Offer expires at Midnight 06/9/17 Available Online at AmericanCPR.com or Toll Free - Offer cannot be combined with any other offers or incentives. Offer cannot be applied to completed orders. While supplies last, offer subject to substitution or change without notice. Call with questions or for further details. Offer only valid on brands listed above. 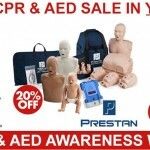 This entry was posted in Sales and Special Offers and tagged cpr, aed, sale, basic buddy, prestan, cpr manikin, cpr prompt, 20% off on May 30, 2017 by American CPR Training Team. 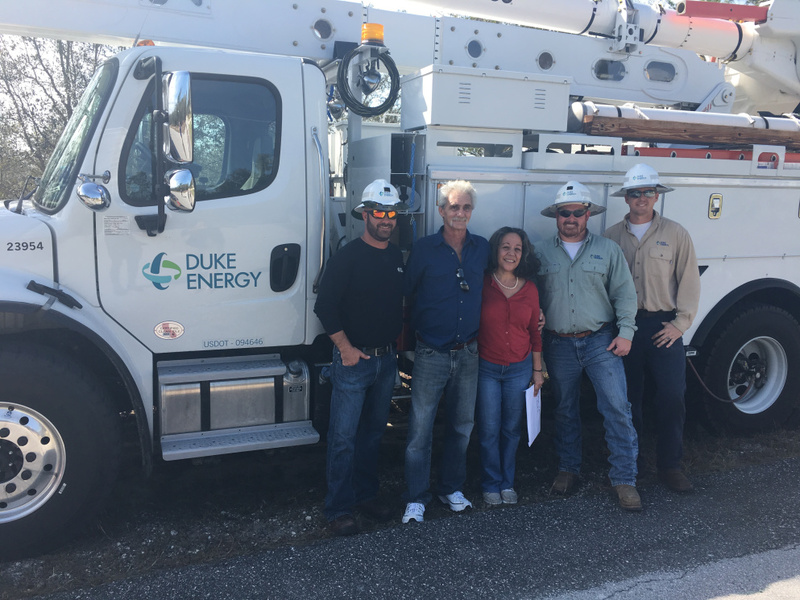 Duke Energy crews train every two years on how to do CPR and use a defibrillator. American CPR Trains them! Get a quote for your own training today! Off-Site Facilities Available in Many Areas. Instruction by Hospital & Safety Organization Affiliated Trainers. Hands on instruction with the newest and most sanitary equipment available. All courses include the most current regulations & standards. This entry was posted in Uncategorized and tagged cpr, aed, Save life on January 26, 2017 by American CPR Training Team. Is your Office Prepared? Who is going to save YOUR life? How safe is YOUR workplace? Think about preparing the workplace to be a safe environment. 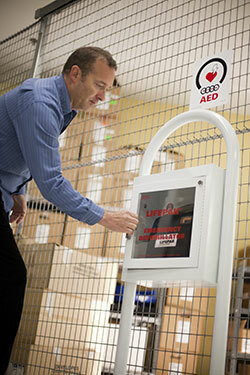 Automated external defibrillators (AEDs) should be an integral part of your plan. On average, only 10% of victims survive sudden cardiac arrest, but survival rates jump to 40% when victims are treated with high-quality cardiopulmonary resuscitation (CPR) and proper, rapid use of AEDs. This entry was posted in Disaster, Survival, Preparation and tagged cpr, aed, National Preparedness Month, NPM, Automated external defibrillators on September 6, 2016 by American CPR Training Team. Don't wait - CPR & AED saves lives! 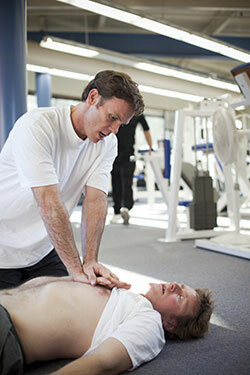 Learn CPR and make sure your facility is equipped with an AED! This entry was posted in Uncategorized, CPR Training and tagged cpr, aed on June 25, 2016 by American CPR Training Team. A squirrel had caused a short circuit that knocked out power, two power linemen were dispatched to an 80-year-old man’s home for the outage and discovered the unresponsive octogenarian in the road. 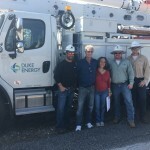 The linemen called 911 and the operator instructed the men to use an AED on the victim. After the AED’s automatic scan, it instructed them to begin CPR. 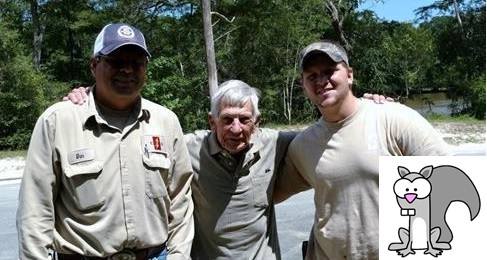 80 year old Jack Purvis is alive today, thanks to 911, CPR, and AED, two power linemen ( Dan Paul and Chase Horton ) and a squirrel. This entry was posted in Odd Bits of News & Trivia and tagged cpr, aed, 911 on June 21, 2016 by American CPR Training Team. For CPR & AED Awareness Week, we have four questions for you. 1) Do you know CPR? 2) Do you know how to use an AED? 4) Do you know where the nearest AED is? If you answered "No" to any of these, you need to set a a group CPR & AED Training class at your location for ½ the Time, ½ the Price, and TWICE the Fun!™... and you should look into getting a corporate sponsored buy-down AED grant! This entry was posted in CPR Training and tagged cpr, aed, CPR Awareness, AED awareness, awareness on June 3, 2016 by American CPR Training Team. 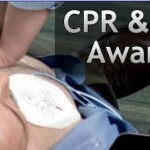 June is CPR & AED Awareness Month! That's right - a Month of activities and actions to bring more awareness to lifesaving CPR and amazing Automated External Defibrillators - both vital links in the Lifesaving Chain of Survival. 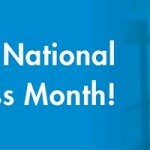 What can YOU do for CPR & AED Awareness Month? 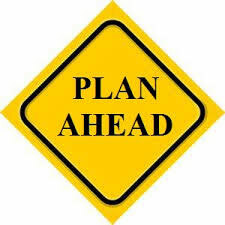 Plan ahead… start now! Keep yourself and others AWARE! You don’t know when or where you will be if a situation were to arise… Prepare yourself! Train your Group in CPR, AED & First Aid - These classes are fun, affordable, and take very little time. - especially when combined (add OSHA Standard First Aid & Bloodborne Pathogens & Universal Precautions). Get funding assistance for placing these vital lifesaving devices at Home, Work, or in the Community. Watch and Share this FREE Video! Share this FREE VIDEO with everyone you know – Spread the Awareness! This entry was posted in AED Training and tagged cpr, aed, awareness, Week, Month on June 1, 2016 by American CPR Training Team. While we at American CPR Training™ have always promoted CPR & AED Awareness month, you’ll want to hurry to take advantage of these National CPR & AED Awareness Week Deals now. Enter code "Aware" in your shopping cart (not at checkout) for this EXTRA 20% OFF while stock is available. Offer expires at Midnight 06/30/16 Available Online at AmericanCPR.com or Toll Free - Offer cannot be combined with any other offers or incentives. Offer cannot be applied to completed orders. While supplies last, offer subject to substitution or change without notice. Call with questions or for further details. This entry was posted in CPR Training and tagged cpr, aed, manikins, trainers, sale, cpr rprompt, basic buddy, baby buddy, prestan on May 31, 2016 by American CPR Training Team.